For almost a week now, “What can we do?” has been the general chorus in all of my feeds. “Here is what I have done, how can I do more?” is popular. “Wanna help? Here is what I need from you,” is too*. Generally speaking, people seem inclined to do something actionable, but are either doubtful that donating their money is enough (true! ), or concerned that their white/het/cis/otherwise privileged friends aren’t really grasping their perspective. At the same time that this is happening, there’s been a fair amount of discussion in the media about whether or not Facebook’s algorithm contributed to a proliferation of misinformation that ended up skewing the 2016 election. More simply, if your platform allows Macedonian teens to fabricate fake, buzzy stories and mass distribute them with no system for alerting readers that, “This Facebook page might not be true at all,” are you… culpable? Or just chaotic neutral? (Chaotic neutral is still culpable imo.) Still more people are focused on the idea of a “news bubble” that only serves you content aligned with your own sensibilities, which means we’re all effectively locked in our own fart chambers all day, sitting around smelling our own farts online. Is any of this gonna prove 100% causality? Of course not. Wanna hear something nice, though? No matter who we’re horny to blame for our great national nightmare today, the Washington Post is offering a solution that attempts to address a lot of those concerns: free digital subscriptions for anyone with a .edu, .mil, or .gov email address. It’s like a company asked itself, “What can we do?” and then did it. Rare. 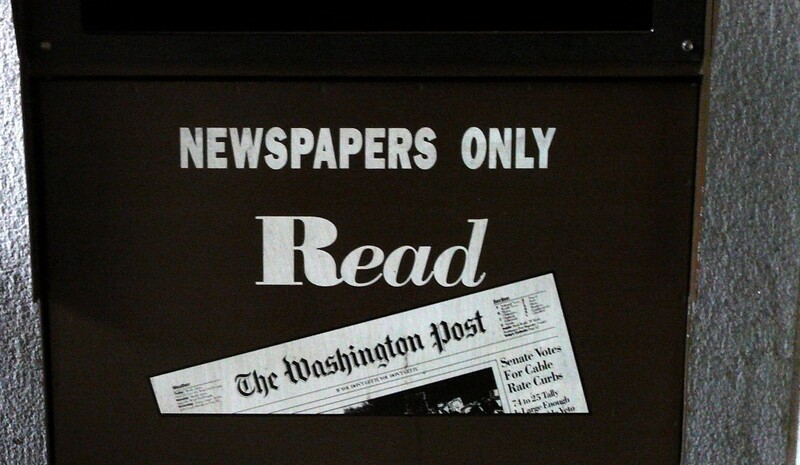 All students, military personnel, and government workers now have full access to the 138-year-old D.C.-based newspaper, and it boasts all of the piping-hot features you crave from your news: reporting, data from reputable sources, analysis. All you have to do to activate is register your email address on their site, and then maybe like them on Facebook too so the articles start appearing in your feed day-to-day. This reads like some kind of paid ad but it’s not. I just like it when people are ethical and good, and this feels like a newspaper being ethical and good in a time when print media is… not doing so hot. Good for them. And get that free content if you can. *These posts are the best posts and thank you if you have written one.